The fall 2016 admitted class of California residents continues to be diverse, with 35 percent Asian American, 32 percent white/other, 25 percent Hispanic/Latino, 3.7 percent African American, 0.7 percent American Indian, and 0.3 percent Pacific Islander. With a boost in enrollment, UC Santa Cruz is busy preparing for the fall quarter. The campus is poised to hire at least 18 new ladder-rank faculty, fund an additional 275 courses and sections, boost the number of teaching assistants, and support the college core courses. UC Santa Cruz offered admission to more than 22,300 California freshmen for its fall 2016 class, part of a systemwide effort to increase access to students within the state. The campus is aiming to enroll 4,305 freshmen with 3,805 coming from California, and 1,144 transfer students with 1,094 coming from California. The anticipated freshmen enrollment represents 650 more than last fall. UC Santa Cruz expects to also enroll 100 California transfers beginning winter quarter. New this year, the campus is currently accepting transfer applications for students who wish to begin their studies in winter quarter, which starts in January. California students are by far the largest portion of the 2016 freshman class. The campus expects to bring in fewer freshman from outside California than last year, though Chancellor George Blumenthal considers enrolling non-resident undergraduates to be an important goal for UC Santa Cruz. The campus extended admissions offers to 2,732 freshmen from other states and 3,657 freshmen from outside the United States as part of its effort to enroll a class that encompasses ethnic as well as geographic diversity. Combined, freshman admissions offers totaled 28,705. Faculty and staff are already making preparations to welcome the new class into UC Santa Cruz’s distinctive residential colleges, Scholars Program, and new federally funded programs related to the campus’s Hispanic Serving Institution (HSI) status, and ever-expanding opportunities for undergraduate research, internships, and creative projects with world-class faculty. 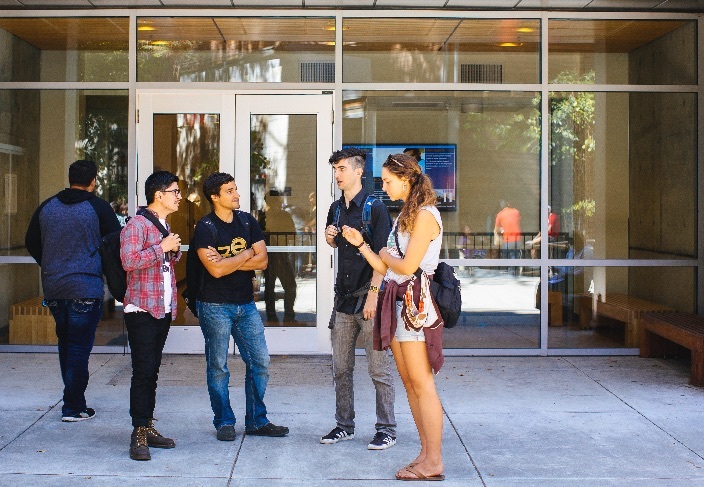 Data released today (July 6) by the University of California’s Office of the President show UC Santa Cruz extended admission offers to 5,421 more students than a year ago, a 23 percent increase. Smaller increases were seen for out-of-state students (232 more than the previous year) and international students (461 more). “Our enrollment goals reflect our commitment to serve California and offer its high school students an education that pairs research opportunities with a residential experience like that of a small liberal arts college,” Chancellor George Blumenthal said. The increase in offers comes as UC Santa Cruz also experienced a record number of applications—more than 49,000—for the 2016 freshman class. The overall freshman admit rate was 58 percent. UC Santa Cruz also offered admission to 5,417 transfer students, a 15.6 percent increase over last year. 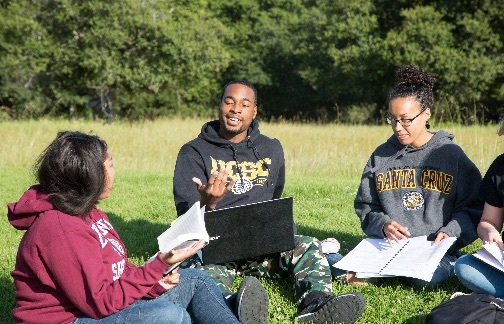 UC Santa Cruz admitted the second highest number of California African-American students (825), representing a 58 percent increase. The campus also recorded the highest number of admitted American Indian students (165) among all the UC campuses. African American admits from out of state reached 194 this year, representing a 15.5 percent increase. Offers of admission to Hispanic/Latino students were at 5,567, a 25 percent increase. Thirty-three percent of admitted California freshmen are considered first-generation, coming from households where neither parent has a four-year degree, and 28 percent are from low-income families. The fall 2016 admitted class of California residents continues to be diverse, with 35 percent Asian American, 32 percent white/other, 25 percent Hispanic/Latino, 3.7 percent African American, 0.7 percent American Indian, and 0.3 percent Pacific Islander. An additional 3.6 percent of admitted students did not report their race/ethnicity. Campus leaders and admissions officers work tirelessly to ensure California high school students know that a UC education is accessible and affordable and that UC Santa Cruz is a campus known for its academic strength, access to faculty, high research impact, residential colleges, and its natural beauty and proximity to Silicon Valley. A Hispanic-Serving Institution since 2012, UC Santa Cruz earned two federal grants to increase achievement for Latinos and all students on campus, as well as partner with San Jose City College to help transfer students earn their bachelor’s degrees at a research university. Additionally, UC Santa Cruz pledged its support for the Oakland Promise, which aims to make a college degree accessible to all students in Oakland. The initiative’s backers announced in January that they’d raised $25 million to help with the goal to triple the number of college graduates from Oakland within the next decade. The campus is also planning to enroll more doctoral students, invest in the Center for Innovation in Teaching and Learning, and upgrade classrooms and instructional equipment. “These investments will go a long way toward preserving the unique undergraduate experience at UC Santa Cruz that’s driven by our distinctive college system and the broad range of undergraduate research and experiential learning opportunities,” Blumenthal said. For the coming fall, the campus housing office has increased the total number of beds to 9,300 by converting existing space into housing units. For fall 2017, campus leaders are exploring the feasibility of various options, including modular housing units.